Mr. Simone Montanari, graduated in IT Engineering, began his career in McKinsey. In 2005 he joined the Piaggio Group where he served, for over ten years until 2014, roles of increasing responsibility in the finance field from Investor Relator to CFO of the Asian area, concluding with Group Planning and Control. Before re-entering into the Piaggio Group, he worked as Administration, Planning & Control Director in a leading international company active in the online luxury fashion retail business. Managing Director of Piaggio Vehicles Private Ltd. Born in 1943 he holds a degree in Science and Engineering and attended Advanced Management Program at Harvard Business School. He joined Piaggio in April 1998. Before joining Piaggio, he gained three decades of experience with brand leading companies mainly in the automotive industry. He started his career with Mahindra & Mahindra Ltd. as Market Analyst in 1965. From 1970 to 1973 he was Division Purchasing Manager at Escorts Ltd.; from 1973 to 1984 he was Commercial Manager and Deputy CEO at Greaves Lombardini Ltd. with responsibilities encompassing project management, material management, quality assurance, production planning and control, personnel management and industrial relations. April 1998 he has held the position of Managing Director of Piaggio Vehicles Private Ltd, and lately appointed also Chairman of Piaggio Vehicles Private Ltd.
Mr. Di Maria began his professional career with Nissan in 1996 as Area Manager. In 2001 he joined BMW developing significant experiences in Sales in the role of Field Operating Manager. He joined Fiat Group in 2004 where he held various positions with increasing responsibilities as Country Manager UK for Alfa Romeo brand, Europe Regional Director and Project Leader for China and US markets. In 2007 he joined Piaggio Group filling several positions with increasing responsibilities both in the 2 Wheelers and in the 3 – 4 Wheelers. From 2009 to 2013 he was Executive Vice President Sales & Marketing Piaggio Asia Pacific 2 Wheeler. In 2013 he was Executive Vice President Sales of API – IP till July 2014 when he rejoin Piaggio Group as Chairman and CEO Piaggio Group Americas. Giuseppe Amico graduated with a degree in electrical engineering from the University of Palermo, and completed a Masters in Innovation Management at the Sant'Anna School of Advanced Studies in Pisa. He began his professional career at Piaggio Group in 1995 as Logistics Planning Manager, before moving into the role of Internet Services and Web Manager in 2000. He has been working in sales planning and logistics since 2006, starting out as Head of Commercial Planning and Distribution Logistics before progressing through various positions of increasing responsibility, until being appointed Head of Materials Management for the Group, a role he has held since 2009. Graduated in Mechanical Engineering at University of Pisa, his professional career began in 1991 in Piaggio Group where he entered in the R&D department. In 1999, he entered in VM Motori as Engine Design Responsible. In 2001 he joined Fiat-GM powertrain where took care of the development of various types of engine. In 2005, he continued his experience in powertrain research and development inside Fiat Powertrain Technologies where he fulfilled different roles with higher responsibilities such as Diesel Engines Design Responsible from 2006 to 2008, Passenger Cars and Light duty Vehicles Diesel Platforms Responsible from 2008 to 2009 and Platform Manager Cursor Engines starting from 2009. In 2012, he had the responsibility of designing and developing the energy efficiency of all vehicles in Iveco. In 2013, he rejoined Piaggio Group as Head of Powertrain COC and, starting from November 2016, he is appointed as the Head of 2 Wheeler Product Development. He began his professional career in 1985 at Apple Computer Spa as Area Manager, gaining since the beginning of his career significant experiences in sales and holding increasing responsibilities like Sales Director. In 1994 he joined Buffetti Group as Sales Director, a role that he held until 2004. During these years he works for two years (1998-1999) in TIM as Sales Director. In the same year (2004) he joined Piaggio Group as Head of Corporate Business and Italy Market and from April 2017 he has been appointed Head of 2W Italy and EMEA Market. 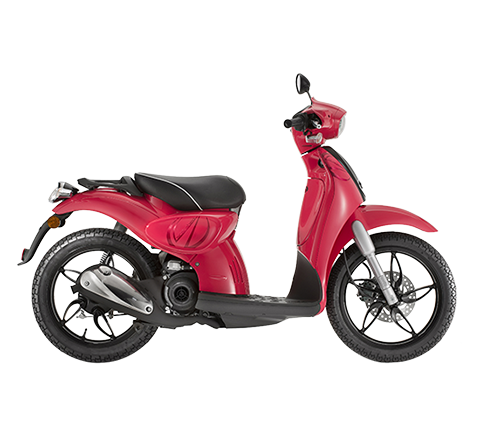 Andrea Evola graduated with a degree in electronic engineering from the University of Pisa before going on to work for Piaggio Group in the purchasing area both in Italy and abroad, gaining increasing responsibility. He joined Piaggio Group in 2003 as a Senior buyer, before spending the years between 2008 to 2011 working abroad, first as Purchasing Manager Global Sourcing China-Taiwan-Vietnam and subsequently as Head of Global Sourcing India. 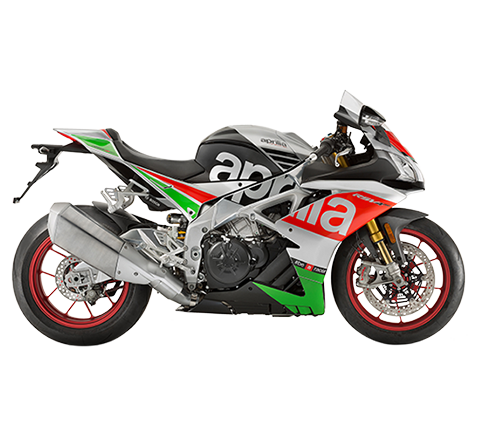 He returned to Italy in April 2012, taking on roles of increasing responsibility until he was appointed Head of Purchasing for Materials and Components for Piaggio Group in June 2017. He has been Head of Group Purchasing since November 2018. Graduated in Economics, he began his professional career in 1993 at Multigram Srl, european television player, taking care of trading promotion of television programs and advertising, in particular among the East-Europe countries. In 1995 he joined Benetton Group gaining significant experiences in sales area as Area Manager Middle East and Africa. In 2005 he joined Beretta Company where he held various positions with increasing responsibilities like Export Manager, VP Civil Sales and Civil Sales Director. In 2008 he joined Piaggio Group as Head of 2W Domestic Europe. In October 2014 he was appointed Head of 2W Domestic Europe, Emerging Markets and Importers. Starting from April 2017 he has been appointed Head of Asia Pacific 2W and of China. Diego Graffi,graduated in Mechanical Engineering, from 2000 has worked in Fiat Group purchasing field, eventually appointed Commodity Manager. 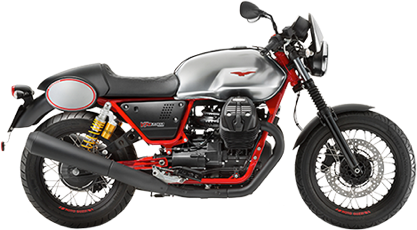 In 2005 he joined Moto Guzzi S.p.A. as Head of Purchasing. In 2006 he joined Piaggio Group as Head of Vehicles Purchasing with increasing responsibility till he became Head of Group Materials and Components Purchasing. From June 2017 he has been appointed CEO of Piaggio Vehicles Pvt Ltd.
Massimo Maffei graduated with a degree in mechanical engineering from the University of Pisa. 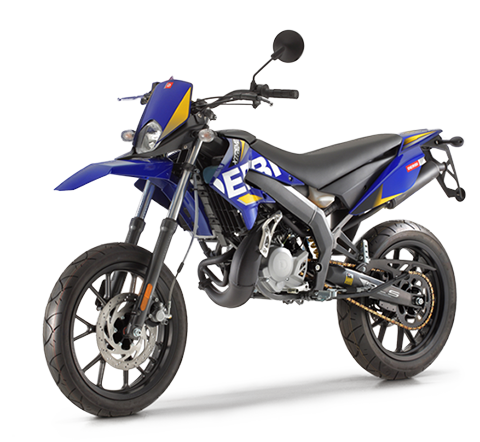 He began his professional career in the technology area of Magneti Marelli before joining Piaggio Group in 2004, first as Head of the Engines Plant and then as Head of Manufacturing from 2012 onwards, at Piaggio in Asia. Since 2015, he has been working in the role of Head of Production Technologies and of Infrastructures and Facilities for the Group. Graduated in Law from the University of Pisa in 1995, he began his career in the pharmaceutical industry. From 1996 to 2000, he was an officer at Unione Industriale Pisana - Confindustria operating in the HR Services area with tasks encompassing labour relations, training, organizational consultancy and human resources management. In 2000 he joined Marconi Communications S.p.A. (Marconi PLC Group) and filled several positions with increasing responsibilities until 2005 in HR Function. When the Marconi Group was acquired by Ericsson in 2005, he began his experience with the Swedish multinational and was eventually appointed Head of Human Resources for the Opto Division with units and plants in Italy and in the United Kingdom and Head of HR for Marconi Sud S.p.A.. 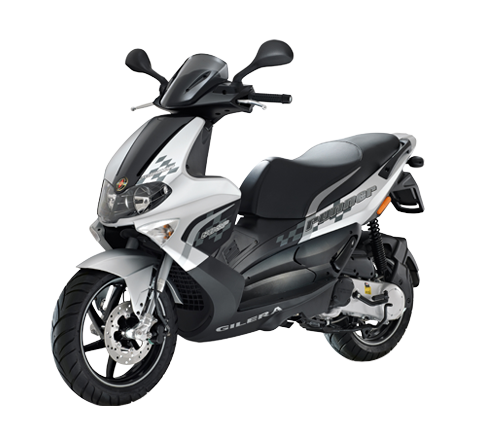 In 2009 he joined Piaggio Group as Executive Vice President Human Resources. Daniele Pinna, graduated in Business Administration at L.Bocconi University, began his professional career in marketing and commercial area of international Groups of food & beverage and automotive business, including Pernod Ricard, Nestlè and Fiamm. In 2007 he joined Fiat Group working in aftersales area until becoming in 2012 Head of Marketing EMEA of Mopar Parts & Service after an experience in Amplifon as Italy Marketing & Product Director. From 2014 he joined Piaggio Group as Head of Retail Strategy & Accessories. In June 2017 he is appointed Head of Business Unit Aftersales. Graduated in Public Relations and Advertising at International University of Languages & Media (I.U.L.M.) of Milan, he had growing responsibilities in international communication agencies, focusing mainly on listed companies. In 2010 he was hired in Prelios S.p.A. (former Pirelli Real Estate, a leader in real estate services listed on Milan Stock Exchange) in order to manage the communication with media and meantime assuming growing responsibilities till his appointment as Head of Media Relations. He joined Piaggio Group in 2015 operating in the area of Group Press Office and starting July 2016 he was appointed as Head of Corporate Press Office. Graduated in Mechanical Engineering at University of Genoa, his professional career began at R&D department of Iveco in 1987 and he worked in various positions such as Product Chief Engineering Manager, Head of Engineering and he gained extremely significant experiences with Light and Medium Commercial Vehicles as Head of Product Development Platform. He joined Piaggio Group in 2013 as Head of 3-4 Wheeler Vehicles Technical Center and, starting from March 2014, he has been appointed Executive Vice President 3-4Wheeler Product Development. Graduated in Mechanical Engineering in 1998, he began his professional career in 1989 in Iveco Spa, gaining significant experiences in sales, holding different positions with increasing responsibilities like Area Manager and Business Development Manager. In 1999 he was appointed Sales Director Light Commercial Vehicles, a role that he held until 2003. From 2004 to 2005 he was CEO of Officine Brennero SpA, an Iveco dealer for Trento and Verona area. In 2005 he joined again Iveco as General Manager Middle East & Africa Area. In 2009 he joined Piaggio Group as Head of 3-4 Wheeler Market EMEA/ CIS. Starting from October 2014 he has been appointed Head of 3-4 Wheeler EMEA and Emerging Markets. Graduated in law and accredited lawyer, he began his professional career in 1992 with Ing. C. Olivetti & C., gaining roles of increasing responsibility in the Legal Affairs Department. After the acquisition of Ing. C. Olivetti & C. by Telecom Italia in 2003 and the reorganisation of the group, in 2004 he was appointed Director of Legal and Corporate Affairs of Olivetti S.p.A., which was at that time entirely controlled by Telecom Italia, position that he kept until he left the Company in 2008. Before joining Piaggio Group, for a short period, he was the Director of Legal and Corporate Affairs at Inticom S.p.A. (the parent company of brands including Yamamay and Jaked). In 2009 he joined Piaggio Group as General Counsel. 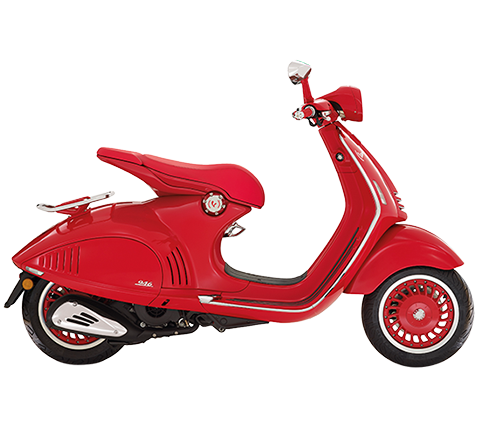 He is also a member of the Supervisory Body of Piaggio & C. S.p.A.. Graduated in Business and Economics at University Ca’ Foscari in Venice, his professional career began at the Internal Auditing department of the Olivetti Group in 1988 with increasing responsibilities till he became Head of Internal Auditing in 1995. In 1998, he was the manager of the Internal Auditing of Albacom, which was a joint venture between ENI, British Telecom, Banca Nazionale del Lavoro and Mediaset, where he was also a member of the Company Ethic Committee, promoting the wide spreading of the Behavior Code. From 2005 to 2008, he continued his career in the Rodriguez Group (controlled by IMMSI and joined by Banca Intesa and General Electric) as manager of the Internal Auditing and then as manager of the Administration, Procedure and Informative Systems function. From 2008, he is the CEO of IMMSI Audit S.C. a R.L. (limited liability company), which is an associate corporation of the IMMSI Group (with joint shares of IMMSI S.p.A., Piaggio & C. S.p.A., Intermarine S.p.A. and Is Molas S.p.A.). In this position, he is the Head of Internal Auditing of Piaggio & C. S.p.A. and IMMSI S.p.A.. He is also a member of the Supervisory Bodies of IMMSI S.p.A. and Intermarine S.p.A.
Riccardo Tosi graduated with a degree in Mechanical Engineering from the University of Pisa, before completing a Masters in Business Development and Corporate Innovation. 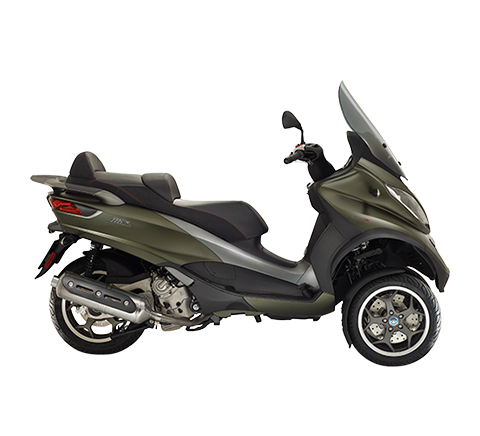 He began his career at Piaggio in 2004, in the Research and Development department. In 2007, he joined Fiat Powertrain Technologies SPA as Program Manager in the Transmission Platforms team, continuing to take on increasing responsibility until he was appointed Platform Manager for FCA Group. In 2017 he returned to Piaggio Group as Head of the 2 Wheeler Platform and in November 2018 he was appointed Head of the Development and Product Marketing Division. Graduated in Business Administration & Management at Bocconi University in 1993, he attended a Master in Digital Marketing at Harvard Business School. His professional career began in 1995 in the Marketing Department of the Pernod Ricard Group in Milan as Brand Manager. In 1998 he joined Perfetti Van Melle as Group Brand Manager and he continued with increasing responsibility such as Sales and Marketing Director in Brazil from 2002 to 2007 and Global Marketing Director from 2007 to 2012. From 2012 to 2013 he was in Pirelli as Vice President Global Marketing. He joined Piaggio Group in November 2013 as Executive Vice President Marketing and Communication. Alessandro Zazzeri has pursued his professional career within the manufacturing area of Piaggio Group, holding positions of increasing responsibility. He worked as Head of the 2 Wheeler Plant in Italy, before moving into the role of Manufacturing Manager for all European plants (2 Wheelers, Commercial Vehicles and Engines). * The Risk Officer works within this structure and functionally reports to the Board of Directors of Piaggio & C. S.p.A..
** The Compliance Officer works within this structure and functionally reports to the Board of Directors of Piaggio & C. S.p.A.